I love playing hide and seek. When I was a child I would close my eyes, count to ten and run around screaming “ready or not here I come!”. I spent hours peeking under chairs, inside cupboards and behind the couch until I could seek no more. The hide and seek I play today is a little different. Instead of being contained to my house, I like playing with an entire city. 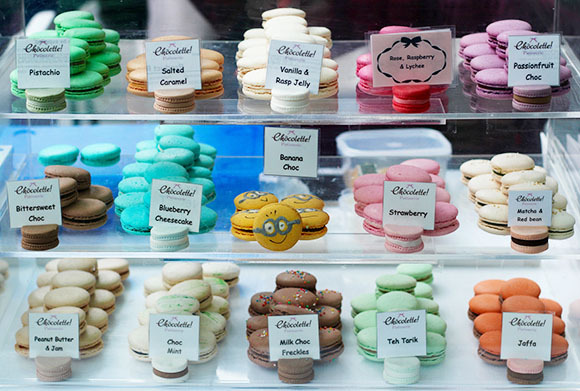 Melbourne likes to make us do more ‘seeking’ for good design, events, markets and pop-up shops. 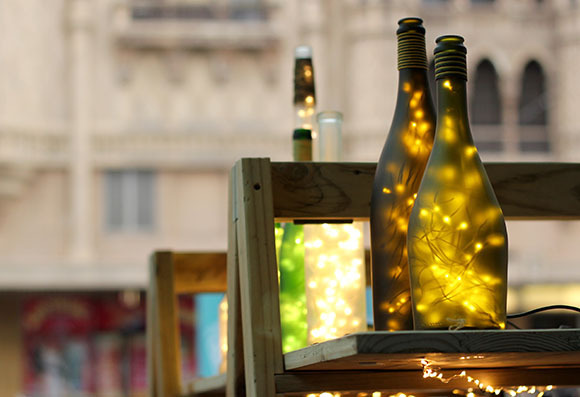 The city lives up to its reputation as the creative capital full of hidden treasures around every corner. And there is no better feeling than saying ‘gotcha’ once I stumble across the unexpected. 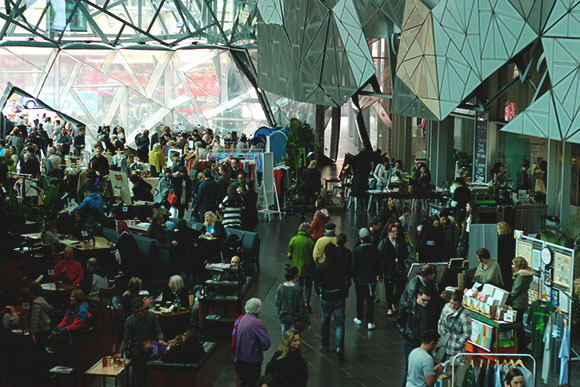 That’s exactly what happened last weekend when I found Melbourne’s Mystery Market nestled in the Atrium of Federation Square. Thread Den, the sewing experts of Melbourne are the name behind Melbourne’s Mystery Market. 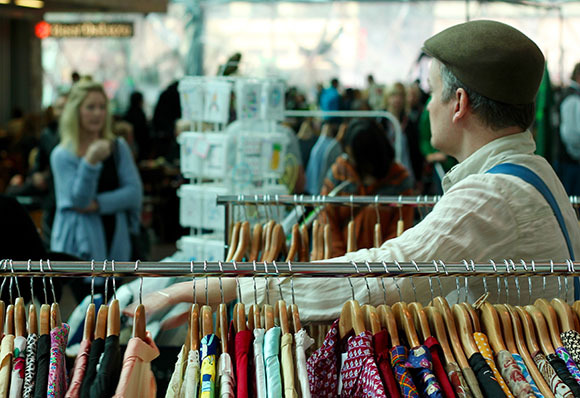 The market was originally called the “North Melbourne Market” with the focus on promoting independent fashion from local designers. However, the handicraft logo and branding of the North Melbourne Market caused the fashion message to get lost as it was seen more as a ‘craft market’. Thread Den took this on board and rebranded changing the logo and name to Melbourne’s Mystery Market. 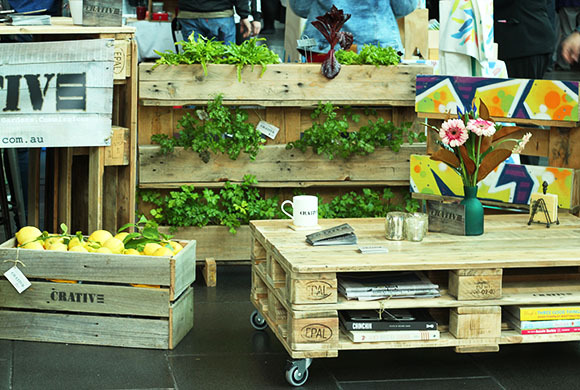 The ‘mystery’ element allows the market to showcase a range of designers and crafts without being locked down. It also allows the market to move around the city and keep its followers guessing where it will be heading next. 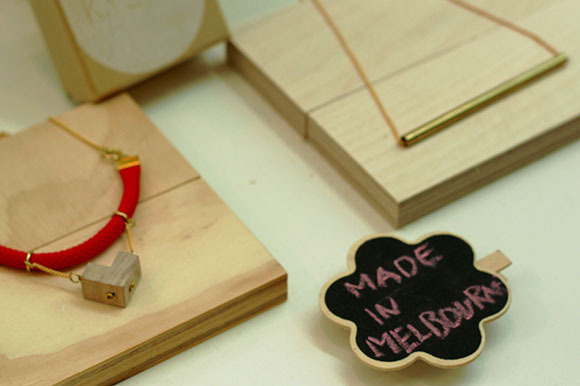 Since the rebranding, Melbourne’s Mystery Market has drawn in larger crowds, more stallholders and an array of talented designers. 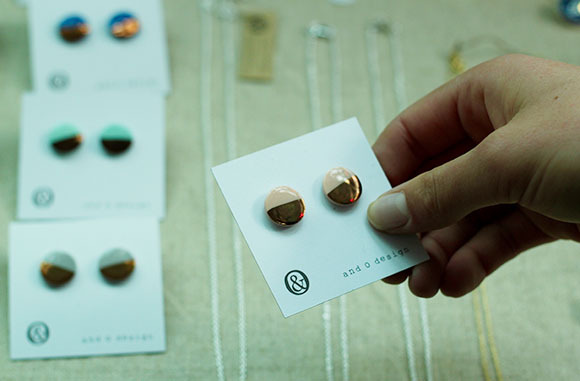 There is something special about a market where people can meet the makers, have a chat and feel a connection to the item they purchase. 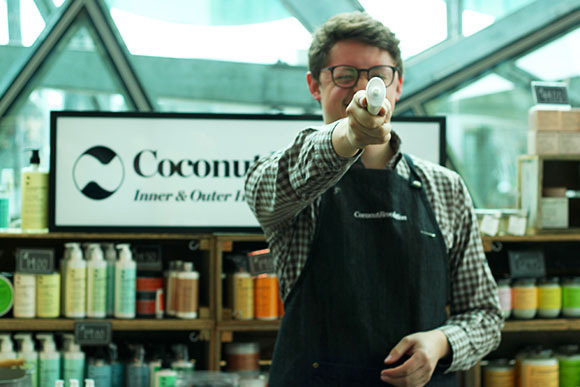 Wandering the stalls on the weekend I know first hand how this direct designer to consumer concept adds values to the beautiful designs or handmade products. 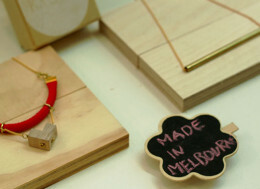 Melbourne’s Mystery Market has a strong focus on promoting local, handmade crafts from the men and women of Melbourne. 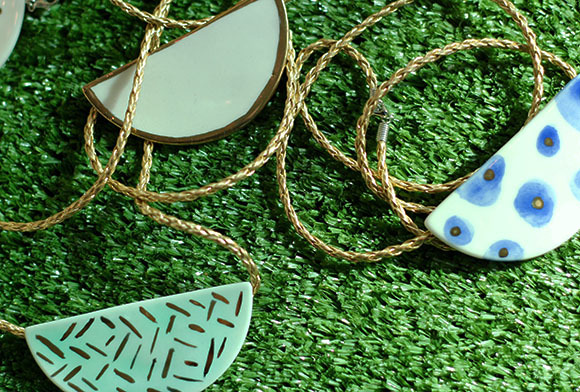 They preach the “slow craft” philosophy, “where goods are produced in an ethical way, with sensitivity to the environment, by local designers who want a sustainable business model – that allows them to do what they love” says Danielle Bamford from Thread Den. 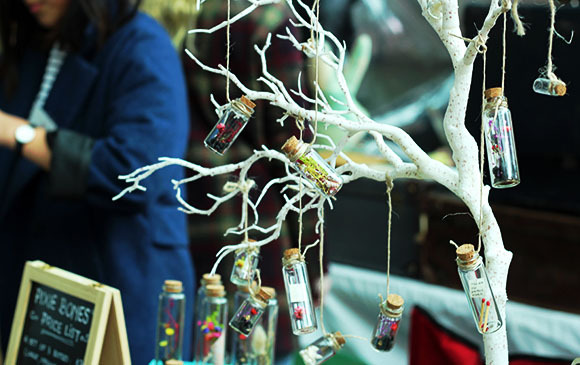 Last weekend 50 stallholders came out to play and showcased a whole range of talent. 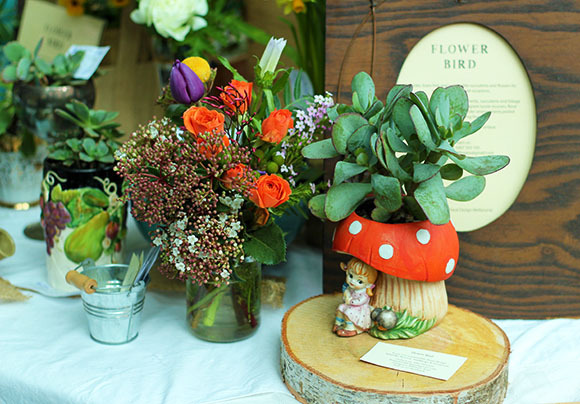 There was vintage fashion, handmade scarfs, ceramic jewellery, artworks, stationary, a florist and edgy homewares. The atmosphere was buzzing with creative chit-chat and the crowd was left wondering why didn’t think of such clever ideas!